Bad news about that $700 studded leather jacket that you recently picked up at Topshop. You know, the one emblazoned with anarchistic slogans like “Still hating” and “Rules breed rebels,” not to mention the logos of the bands Against Me! and The Vandals? Unfortunately, that purchase might not be quite as cool and edgy as you originally assumed. As it turns out, at least one of those two bands isn’t psyched to have been included on your two-thirds-of-a-grand fashion statement. 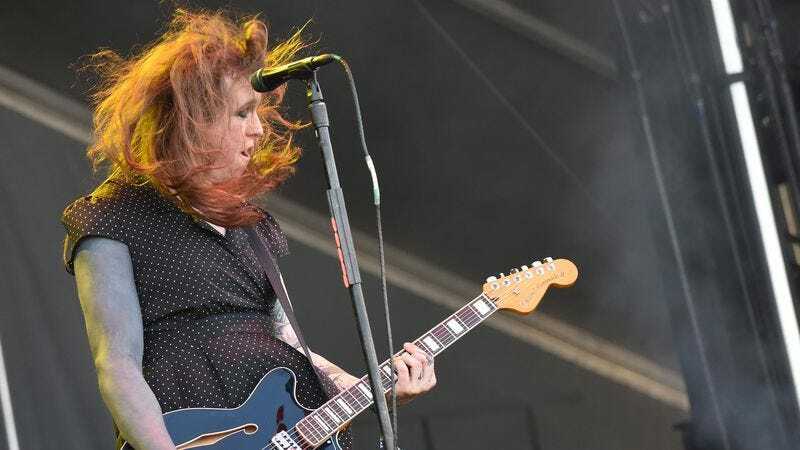 When Laura Jane Grace—frontwoman for the Florida-born punk band Against Me!—discovered her brand was being used by the U.K.-based fashion chain without her permission, she made her very understandable annoyance apparent on Twitter, as Stereogum reports. To their credit, the Topshop top brass did not simply simply ignore her tweet, responding by pulling the offending jacket from stores and writing a bemused sort-of-apology to Grace. Let’s hope they put their best people on the case so that they can solve the mystery of how their multinational chain of retail stores accidentally made thousands—or hundreds of thousands—of dollars of the hard-won reputations of serious musicians. Heads are probably going to roll.